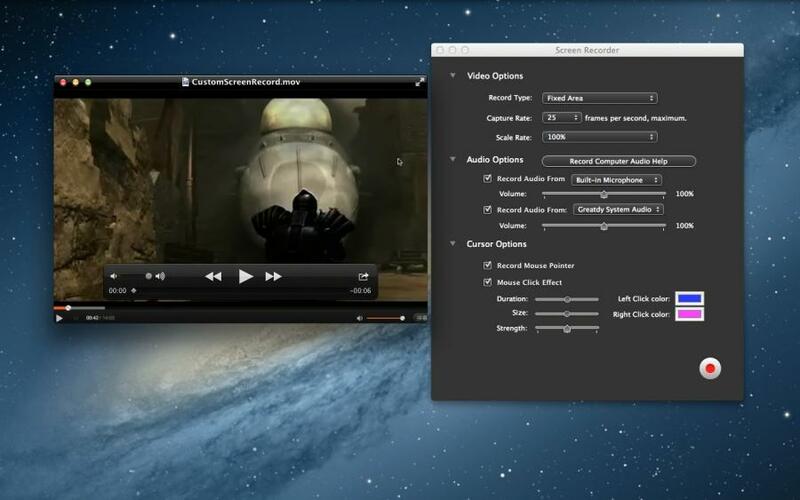 capture a single app window or screen. Record Built-In audio device such as (Mic …). A good tools for making your video tutorial. Capture Pro - All is a professional record software, can record your screen, record audio from mic and computer, record video from camera. You can record videos from video website, record musics from music website. · Record online video (Youtube, ShowTime and etc). · Demo your Software, can captured games screen ,PPT ,your image's slideshow etc. · Full screen recording, custom area recording and single window recording. · Record audio from computer and Mic. · Mix computer audio and mic audio. · Record a single window. 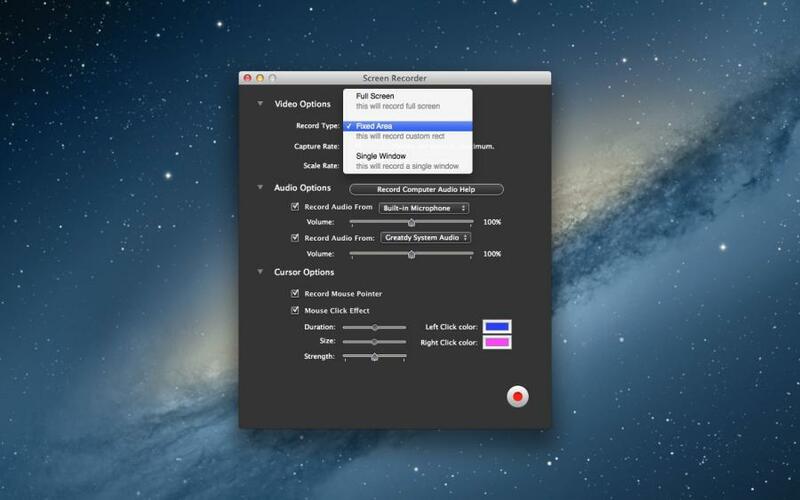 · Record online video and online audio. · Choose add mouse click animation and show click count. · Record audio from computer. 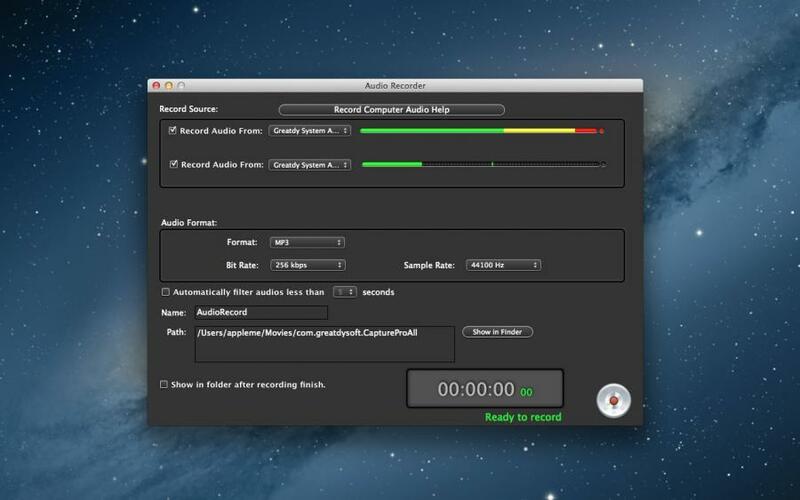 · Record audio from Mic or other audio input devices. · Record audio From online Website, youtube, or other music website. 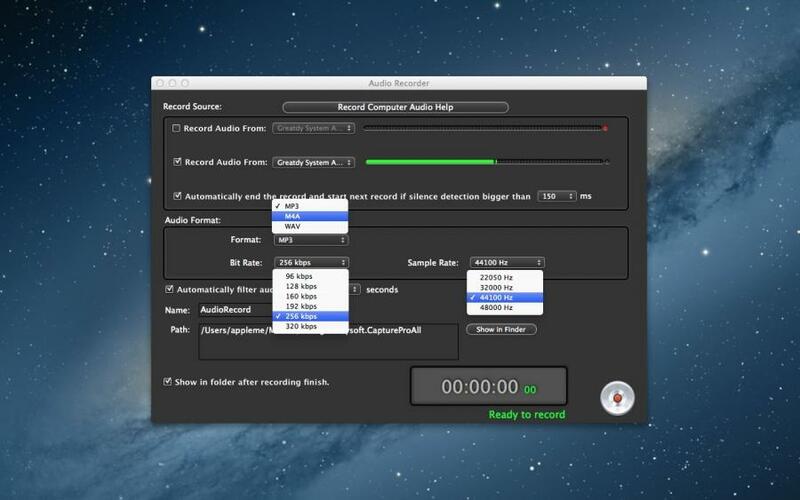 · Record audio from iTunes or other audio playing softwares (You need play the audio). · Auto Split recorded audio (Only need play musics, the app can auto split every musics). · Support music format Mp3, WAV, M4a. 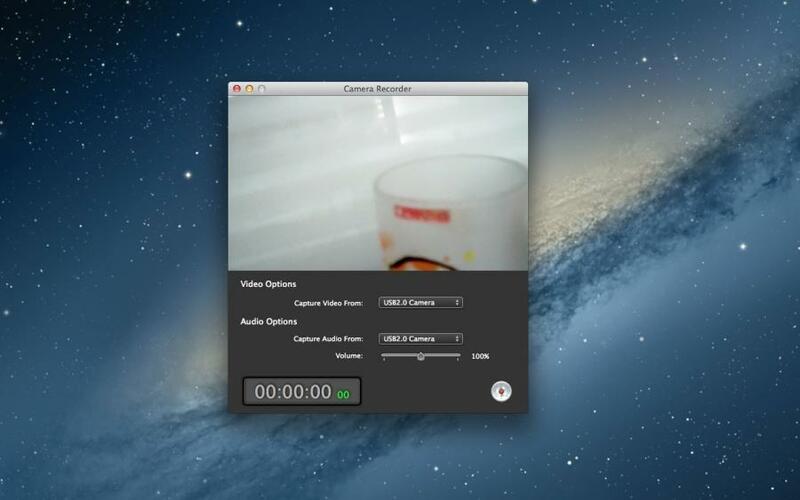 · Capture video from camera devices. · Edit the captured video. Note: If you have some problems,Please send an email to chaoyuemesoft@126.com I will solve these issues as quickly as possible. Copyright © 2012 UT Team Inc. All rights reserved.